BYOD at work is all the rage. What is BYOD, exactly? Well, it stands for “Bring Your Own Device” and, put simply, it means that an employee uses his own smartphone, tablet, or laptop for work as well as for his personal purposes. BYOD policies raise several concerns, including increased security risks and wage-and-hour issues for work performed at home. Another issue is one of particular interest to litigators like me-the question of how BYOD policies will affect e-discovery. In other words, will an employer be on the hook for the preservation of its employees’ personal devices if those devices are used for work and for personal purposes? The answer to this question can have wide-reaching impacts. For example, if the answer is, “yes,” the employer would be responsible for ensuring that each such device is preserved immediately upon the threat of litigation. But telling your employees to submit their personal smartphones to the company’s lawyers is probably not going to go over so well. A recent case from a federal court in Kansas gives hope to employers who want to permit employees to use their own devices without risking liability for failing to preserve those devices should litigation arise. 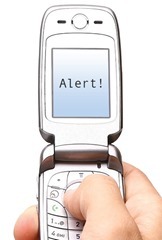 In Cotton v. Costco Wholesale Corp., the District of Kansas denied the employee-plaintiff’s motion to compel text messages sent or received by employees on their personal cell phones. The court’s decision was based on the fact that the employee had not shown that the employer had any legal right to obtain the text messages. In other words, that the phones and the data they contained were not in the “possession, custody, or control” of the employer. The court also based its decision on the absence of any evidence that the employees had used their phones for work-related business. Although it wasn’t the controlling factor in the outcome of the case, the fact that it was mentioned by the court is likely enough to give future litigants grounds to argue that where BYOD is the standard policy-officially or unofficially-there is a basis to compel production. But, for now, this decision is definitely a positive sign for risk-adverse employers. Cotton v. Costco Wholesale Corp., No. 12-2731 (D. Kan. July 24, 2013). H/T Jay Yurkiw at Porter’ Wright’s Technology Law Source blog. This entry was posted in Policies, Privacy In the Workplace, Purely Legal, Social Media in the Workplace. Bookmark the permalink.